Have you blinked lately and went from one month to the next seven? Well, that’s me today. Today I’m choosing to sit and thoroughly enjoy some silence while my girls nap. I’m not running around cleaning up, finishing laundry, putting dishes away, decluttering… per the norm. Nope, I have my feet up and words in my head, just for this spot. I love to write and try to figure this whole motherhood/parenthood/life thing out through run-on sentences, more than enough exclamation marks and probably too many question marks!!!??!! This summer with 4 year olds was really kind of like a swift gust of wind. A breeze that can’t decide which way it wants to blow. An unpredictable breeze filled with high expectations, surprising demands and pure joy in the midst of little plans. I very vividly remember the baby days, staring at their tiny little everything, wondering what they’ll be like as walking-talking people. Mid summer, I had a realization. This just may be one of the last summers I really have with them. To be plan-less and pokey with long pj wearing mornings. I have a confession, we really had zero regular commitments. No planned activities. Besides a couple small trips, we had a lovely empty calendar, uncertain of where we would go and how each day would unfold. 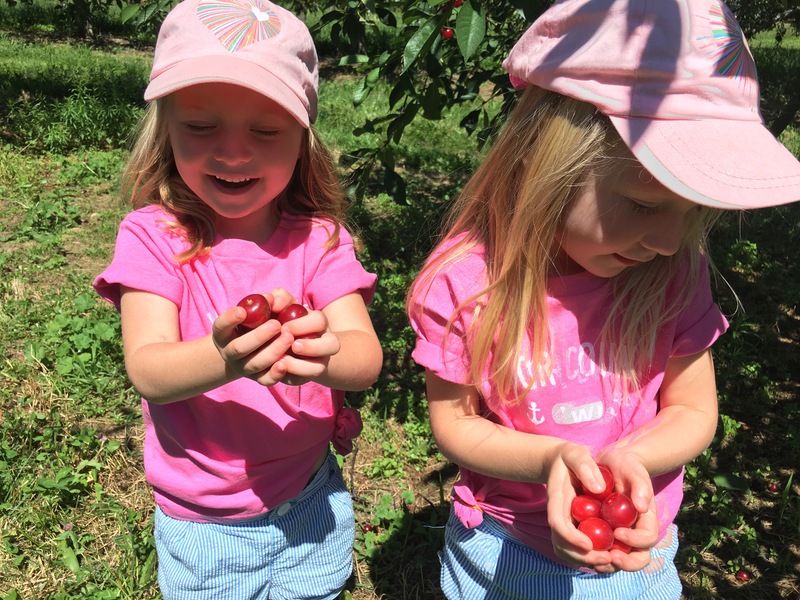 Like the rapid pace of our carefree and plan-less summer, I know we will soon be chasing the clock from one activity to the next and I chose to embrace a laxidasicle summer, enjoying my wild and sweet girls in their element. As parents we are under such pressure to keep our kids busy, stay active in the community, always participate, volunteer, bake, create, and more. We’re often running around racing each other. I’ve done that and to be honest, I don’t always mind the hustle and bustle of being busy and involved but I only recently learned that the unnecessary pressure can wear us out and spread us so thin that we have zero energy to enjoy the simplicity of life that really needs our attention! If it’s hard for us adults to handle at times, how do our kids feel?! So I’m waiting just a little longer for that busy-ness in life to set in and push us when we just want to sit. I will not force it. I needed this realization and I believe it’s made me a better and happier mom. I braced myself for the terrible twos but my husband and I agreed that age three was better suited for those expectations. Then, age 4 snuggled into our hearts so sweetly with a much bigger vocabulary and imagination, leaving us belly laughing and in awe of their profound curiosity. 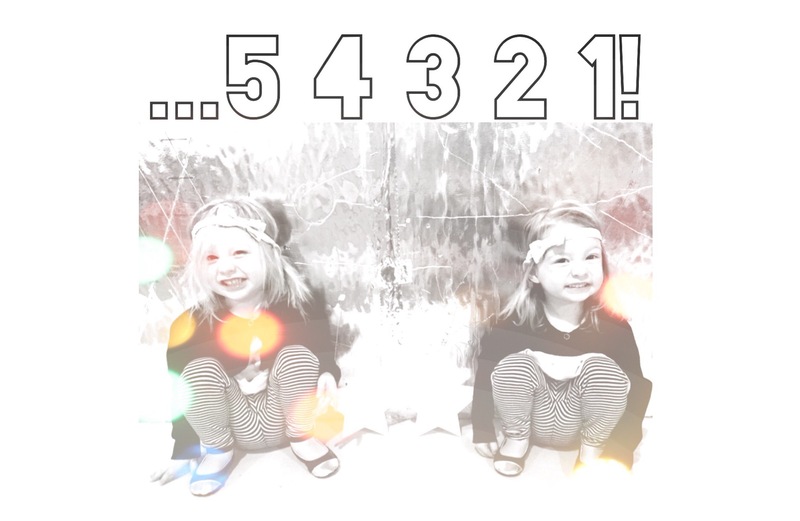 Then when we least expected it, this sweet age of 4 melted to the floor, flailed it’s arms and whined about everything under the sun… including the sun! And I’m not talking about a little bit of whining. On a sweet silver platter we have been served a large helping of whine, stuffed with whine, paired with a lovely side of whine and a dash of more whine… we accept our serving, and we think we can take it all, that we can handle it. Until we’re stuffed. Then we find ourselves ready for a very large glass of wine. But seriously. What’s with all the whining? 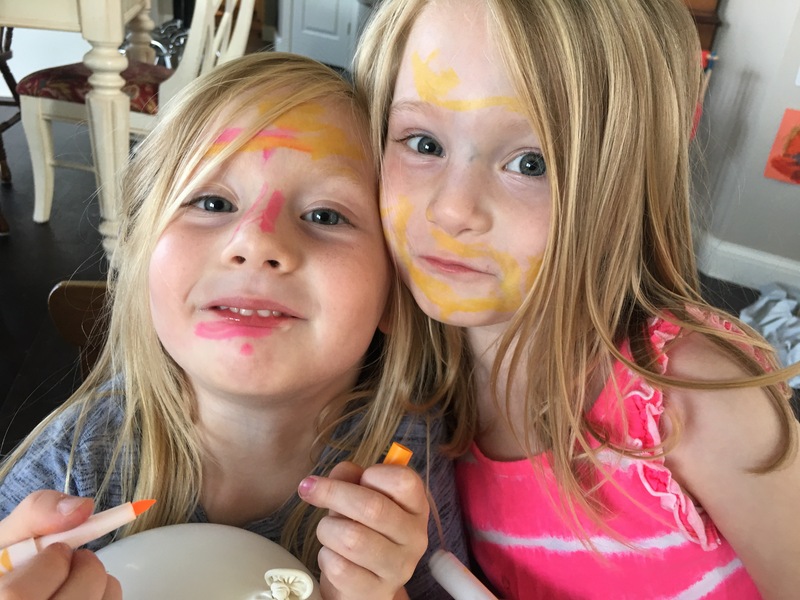 So, I need to clarify… The terrible two expectations were dismissed by threenagers who busted down our walls, walls that lead directly into the exciting and crazy flames of wacky, wildly emotional, sensitive and strong willed 4 year olds. Now, this is just our experience. I must say that age 4 isn’t only serving whine. It has been fun and so cool to see them grow – especially together. So, I’m not complaining about it all. It’s the emotions and power struggles that we’re dealing with – that yank our heart out one moment and want to snuggle in that very same moment. Like, who really is in charge? Every age brings its beauty and surprises us with its beast… just when we get comfortable and confident in our parenting ways. This is no illusion, yes that is a moth. 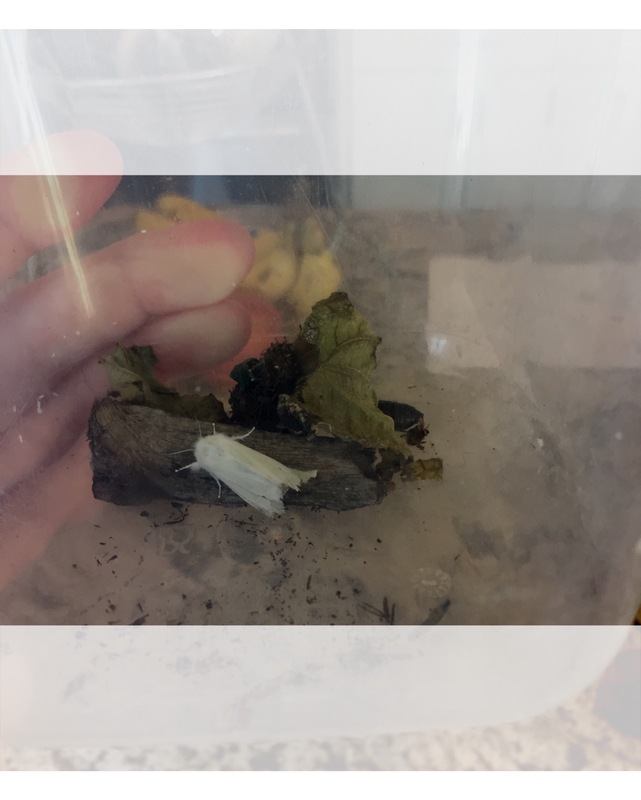 In a container, in my kitchen… once a cute caterpillar that my girls named Sunny. After they learned about metamorphosis they begged to create a home for it to build its cocoon and turn into a butterfly. I informed them at one point that this will be a moth. A simple moth with fragile wings. I’d like to think of this as an allusion to a metaphor we are all stuck in at some point in our lives. We seek change in ourselves or others and have our own vision of the results, even after they have been revealed. We live in a world where hiding behind a mask is the norm. At the same time, we are just fine never seeing behind the masks of others. We contently see things how we want them to be, creating an ideal that is impossible to attain. These, I can confidently say are two scenarios we have all partaken in. Maybe you were the main character, maybe you were the gawker, the hopeful seeker of your imagination. Whatever it may be – you chose to act in a certain way that let a result be something other than what it actually is. I’m pointing my finger and saying you’ve done this because I believe it’s innate. Mixed with naivety, some lack of knowledge, sprinkled with unrealistic optimism… but still innate. This is not to say that striving for perfection or working to be better in certain areas of life, is bad – but striving for the impossible is just well, not possible. My children who were told that our cute little fuzzy friend would be a moth, still called it a butterfly even after seeing it as a moth. One of my children said, “oh no, it’s wings are not pretty yet.” Then, after continuing to tell them, “well, this is a moth and this is how Sunny will always be.”, they began to call sunny the moth-butterful. I could see their minds working hard to wrap around the fact that Sunny is not the ‘butterfly’ they thought she would be. Their is an odd dissonence between a sweet furry caterpillar and a simple white moth. Almost as if it just could never be that way or something went wrong. Maybe it didn’t eat through that one piece of chocolate cake, one ice cream cone, one pickle, one slice of Swiss cheese, or one slice of salami like it was suppose to. The real dilemma here is that I failed as a parent in this lesson. Ok, that’s a bit extreme but I kind of did!! I could have excitedly googled images of moths and talked to them about moths and shared with them the inevitable result of their caterpillar. But darn it, we have a few books that talk about butterflies and in their sweet little minds, that is what a caterpillar turns into! Something with glorious patterned wings that will happily land on your finger while dancing in a field. Lovely thought, huh? Our poor sweet Sunny, however, is now living in a world that two little hopefuls are imagining for it. 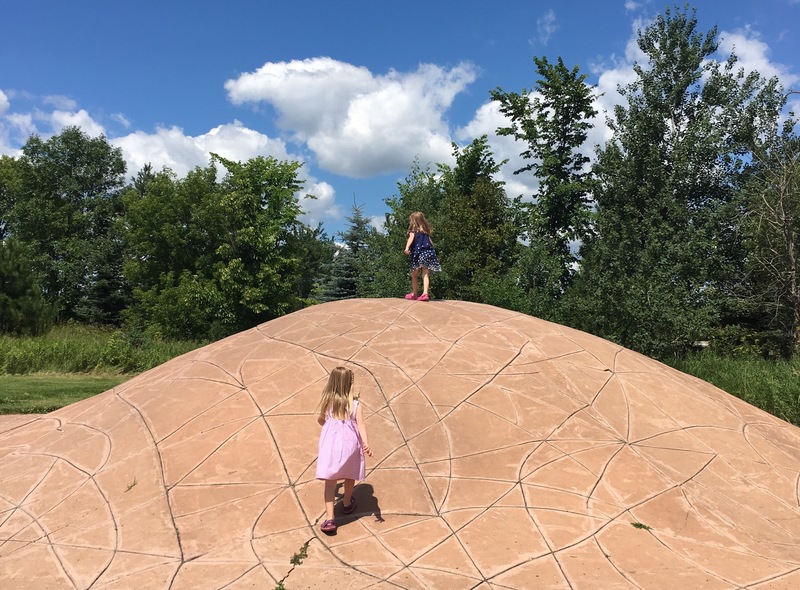 Welcomed into a world with unrealistic expectations, as my girls patiently wait for their friend to (never) blossom into the only result they are familiar with – – a butterfly. I know this is just a moth but how can one not see the analogy? It hit me like a rock. We are all moths living in a butterfly world yet we can be just as grand as any butterfly, if we confidently peel back our masks and unashamedly delight in our delicate world. Tried to take a normal picture, then decided it was much easier to enjoy the moment. As another year passes by and a bright + shiny year begins, I’d be remiss not to reminisce… Not just on the year that flew by, but also the year before that and many of the years prior. 2015 (and the years that follow) will be filled with “enjoying the moment”, caring less about a clean house and more about quality time, less concerned about keeping up with life’s fast pace and more about being thoughtful and thorough, less about feeling rushed and more about accepting my own preparedness and saying “it’s ok”. It’s not that I wasn’t trying any of this before, but I just wasn’t doing it fully. I wasn’t PATIENT enough. This will be a year of new experiences, new discoveries, new words, and even new teeth… By the way, teething is an experience I never knew took so much patience! I knew it would be rough. It’s rough to see your children in pain, hear their screams and cries for mercy as they wait for their pearly whites to slowly break through their delicate baby gums. Ok, now when I re-read that, I cringe and completely understand why we don’t remember this stage of our life… because nobody is that patient, especially a child who lacks the vocabulary and comprehension to tell you what’s wrong or understand when you say “it will all be ok…it will pass…you’ll be just fine my sweet little peanut”. They hear gibberish and feel an excruciating pain that only time can fix. 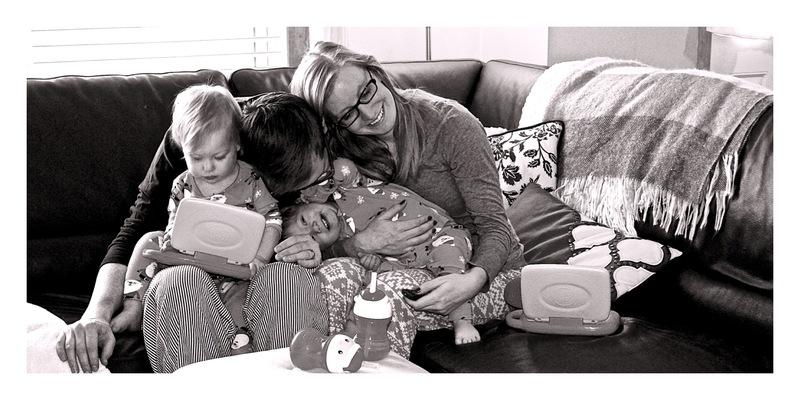 This year is the start of so much for our family… the beginning of that dreaded thing called potty training (times two), learning to share and care, all sorts of growing pains, and probably interesting surprises I just can’t fathom at this moment ;). I hope that 2015 will welcome me and my family to a place we can finally call “home”, where we can settle into a new life, new neighborhood, new house with a real basement and an actual yard (ok, I’m getting greedy now). I’m not naive to the fact that the year ahead is going to be hard – just like the past year was and like next year will most likely be – it’s a sort of “hard” that I have yet to experience because every stage of parenting brings new challenges that nobody is really ever prepared for, even if you’ve had kids before. Every child comes with very different instructions that require a unique set of skills in order to navigate, understand and develop. Now, when I say that the year will be “hard”, I’d like to stay away from it’s negative conotation. Of course it will be hard – – it’s parenting! However, I am determined to accept it and work through all of the craziness with strength, creativity, determination, a lot of humor and most importantly… PATIENCE. I’ve discovered something about myself throughout the years. Well, I’m IMPATIENT. I’m sure many can relate and those of you that cannot… I am assuming you are made of gold, your heart beats to the tune of Amazing Grace, and your feathers have never been ruffled because they are absolutely perfect. To be fair – I’ve met some very patient people that have inspired me. BUT, we can all use an extra dose or two of this highly necessary virtue called PATIENCE. Hey, I’d love a RX but it’s not that easy. This is a virtue I’ve been seeking to attain since I can remember. Maybe it was when I was 8 and I secretly (shh don’t tell) found all my Christmas presents before they were wrapped, or when I was 17 and took my parent’s van out for a drive when I shouldn’t have and ended up with a nice dent, or when I was 20 and I lost my patience with a friend whom I believe did me wrong, or especially when I was ONLY 27 and began to question why I wasn’t a mother yet, and then of course a couple years later (29) when I found out I was going to be a mother of twin girls and pregnancy felt like a never ending story of aches, pains, fat feet and unflattering clothes!! We all carry a lack of patience in some shape or form. As a mother I’m noticing how important patience is to my itty bitty learners who stumble, fumble, destroy, break, and love so hard it hurts. My actions, my reactions, and my love for my children and those around me are examples I am setting for this tiny fraction of the next generation I am raising. PATIENCE isn’t just a resolution or a goal, it’s a must needed change for all and it will be my main focus, right along side my innocent little angels who need me to be PATIENT more than I’ll ever know.